Over the last years I had the pleasure to get to know Nutanix a little better as the partner I’m working with (Synergics) was one of the first Nutanix customers in Belgium and they became partners soon after that. Recently Synergics & Lenovo have partnered up to launch the concept of ‘Cloud in a Box’ to the Benelux market. (CIAB is a Private Cloud based upon the hyper converged Nutanix platform that has a 2 hour setup, takes 4U in a rack and is almost self maintaining) Reason enough for me as Cloud Solution Architect to see what benefits the solution could offer. Nutanix OMS solution captures syslog’s from all Nutanix servers and makes them available for searching using the OMS search language. 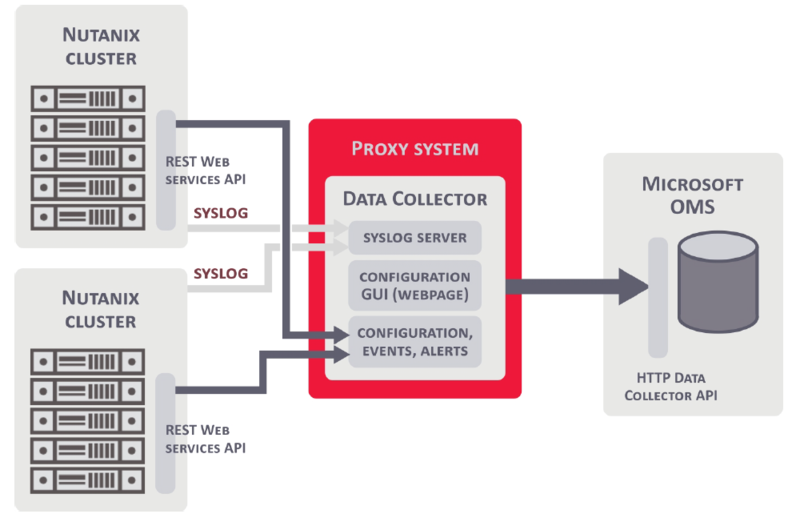 In final version, we plan to develop out-of-box queries that will help you identify specific issues only visible via details captures in syslog files. Nutanix OMS solution goes beyond capturing only VM information. Application Awareness module looks inside each VM and identifies which supported applications are installed on them. Then it groups related VMs together, forming an application-centric view of your deployment. Supported applications today include: Citrix, SQL Server, and Exchange. If you install Citrix on Nutanix, then the Application Awareness will identify VMs that are delivery controllers, license servers, SQL servers for, storefront server, server OS and desktop OS machines, and group them together by the name of the Citrix site they belong to. Instead of looking at 100s of VMs, now you have an application centric view across your complete deployment hosted on Nutanix. we often get questions – how about low-level hardware monitoring? Since new HW boxes are getting equipped with the Redfish API that is designed to provide API access to low-level HW information, we plan to also capture this data in OMS. That way, you are able to detect fan or power supply failures, etc. Nutanix OMS solution of course also captures all important metrics that you can see in Prism. This enables creation of any query to be created across Redfish HW data, host, storage, VM data, and application data + syslog on top. Pre-packages queries and visualizations deliver what we feel will be useful to most customers. based on your experience and knowledge of your customers, you can custom develop dashboards that meet very specific customer needs. Nuff said, let’s get our hand dirty! 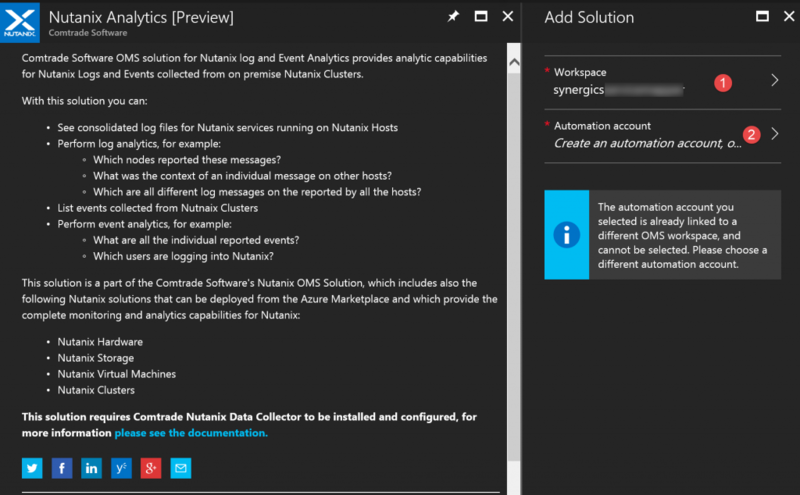 First thing you need to do is to activate the solutions through the Azure MarketPlace, there are 5 different modules available where you can pick from. For this POC we will try them all. In the wizard you can select an existing OMS workspace or you could create a new one and even while there is no real interaction with the Azure Automation Account, you need to select one. Same here, if you don’t have a AAA already you can create one and as you can see in the image above, it cannot be linked to any other OMS workspaces. Repeat the process for the remaining modules. For this component you will need to provision a CentOS or RedHat Linux server, this server can either be virtual or physical. it should also accept incoming traffic from the Nutanix hosts on port 8080, 8443 and 54100. <Level> is one of the following severity levels: INFO, WARNING, ERROR, FATAL; the specified level defines the minimum severity level that is still included in data forwarding. 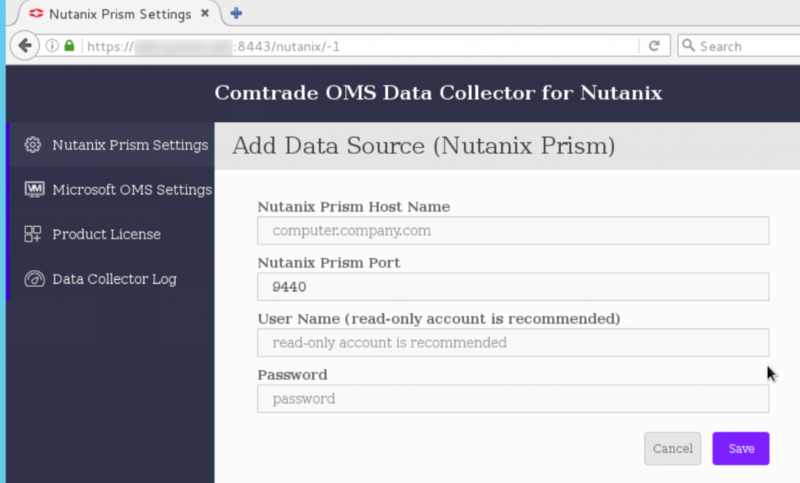 You can host the OMS collector where you want, on the Nutanix cluster itself as VM, in Azure as VM or on premises as a physical server, just make sure all communication can take place. The latest release of the application will update itself when needed. The solution starts to give results as soon as everything is configured correctly, the things you can do with it are still limited in this phase but these guys are doing a good job and the work progresses fast. 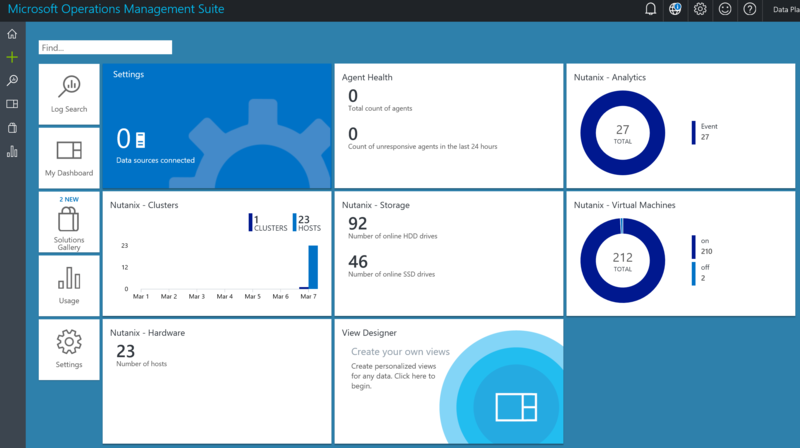 As company or IT PRO, its nice to have a view on your environment at your fingertips (OMS mobile app) and available over the internet with all the other benefits OMS can provide. Hope to see a version 1.0 soon with reasonable pricing.